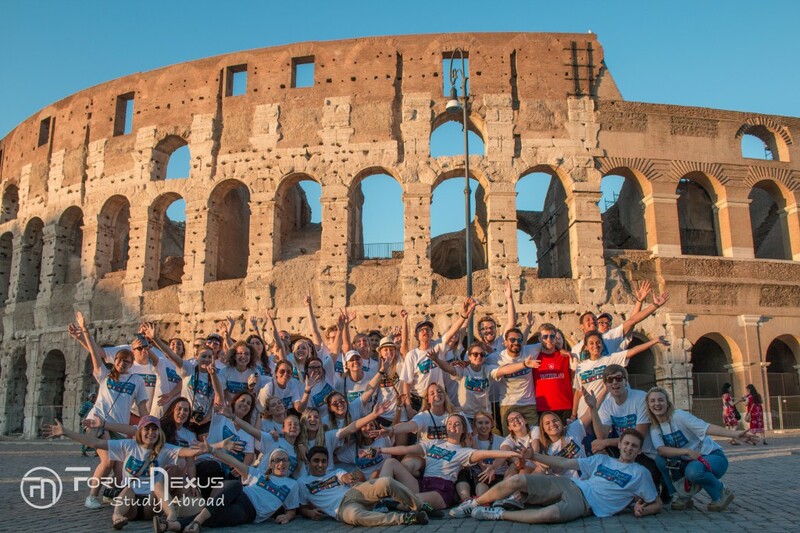 You Are Here:→Academic, Academic and Professional Benefits, Explore European Cultures, Explore the World, Firms and Organizations Visited, Study Abroad, The Forum-Nexus Experience→This is Forum Europe 2018! Our full month in Europe kicks off with a 4-day stay in the heart of the Netherlands. 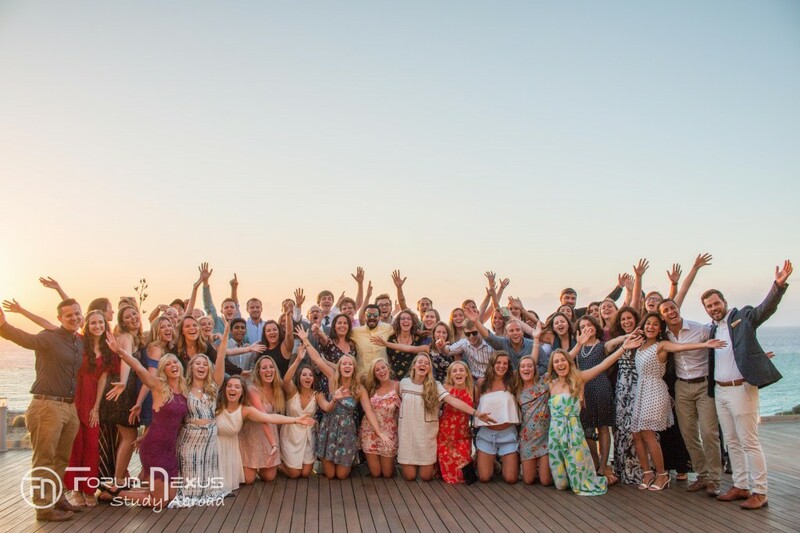 Our staff will greet Forum-Nexus students at the Schiphol Airport, coordinate transfers to the hotel, and officially welcome everyone at the Opening Ceremony celebration that afternoon. While in Amsterdam, you can visit the Van Gogh Museum, tour the Anne Frank House, or take bike or boat rides around the city. 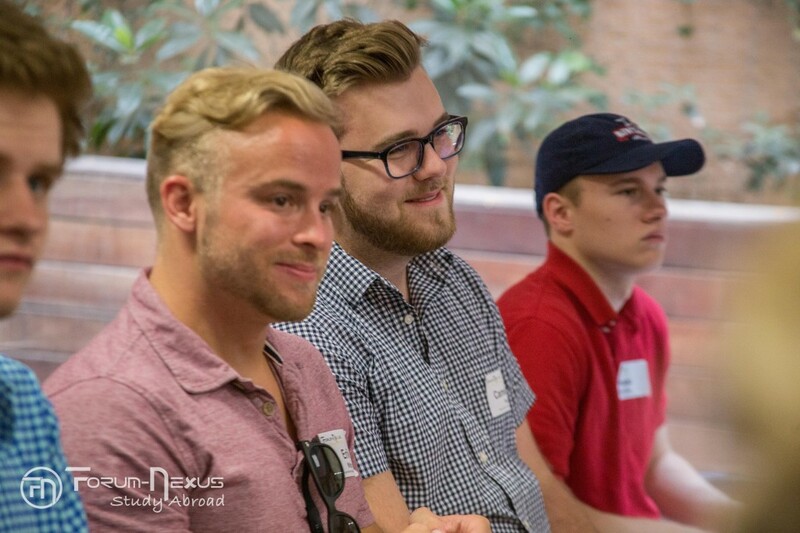 Students will begin their academic experience with classes and professional visits to leading global companies and international organizations unique to the Netherlands. We dare you not to fall in love with the mesmerizing canals, unique architecture, kind locals, and rich history in Amsterdam. 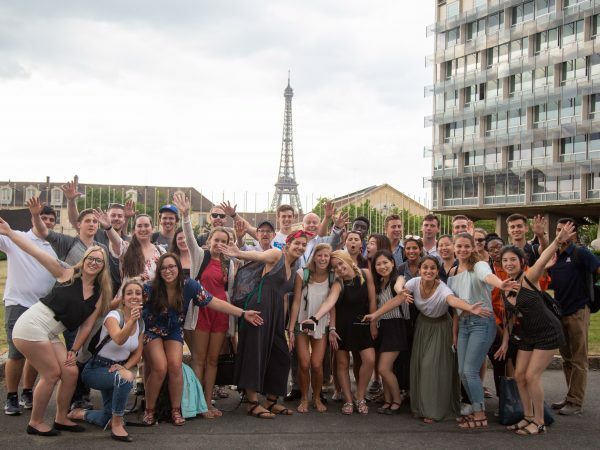 Together with Forum-Nexus staff and professors, the group will travel by high-speed train from Amsterdam to the center of French culture, politics, and business: Paris! 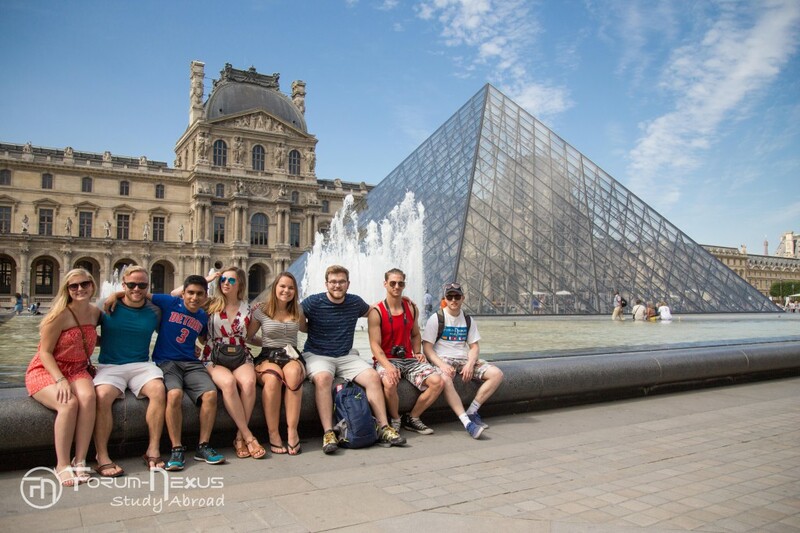 During our 5-day stay in the capital of France, you will be able to visit the Louvre Museum, the Notre Dame Cathedral, and stroll along the banks of the Seine River and the famous Champs-Elysees. 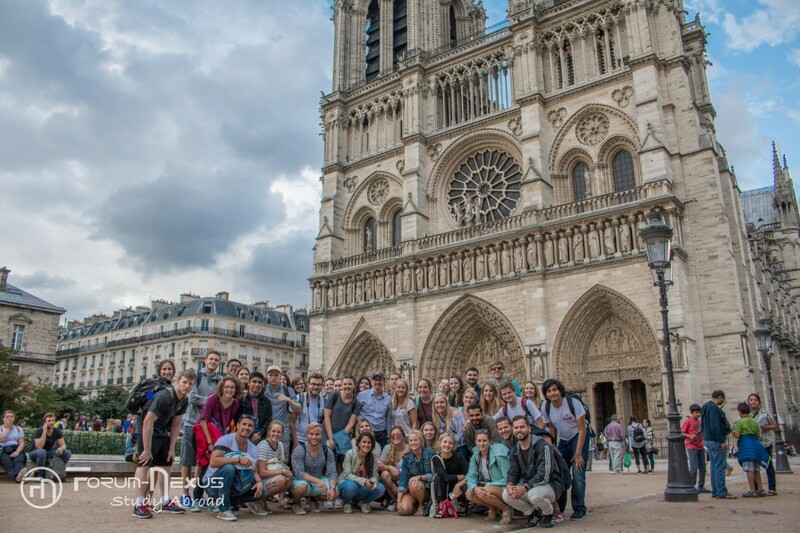 The week also include visits to prominent French companies and enriching class time. 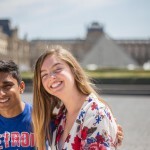 That weekend, there will be an Optional FN Day Trip the one and only Palace of Versailles. 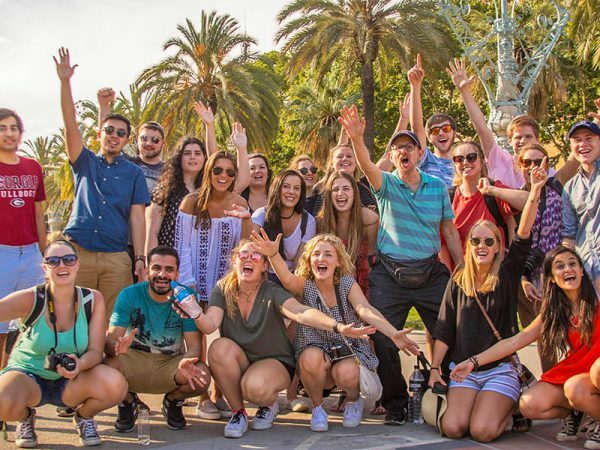 You are also welcome to take your own Independent Weekend Excursions to nearby London or Barcelona. 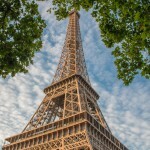 Next, we’ll bid Paris “Au revoir” and board a private coach to the Swiss Alps. Our day trip to Geneva will be spent visiting top European organizations (United Nations and CERN), taking in the Swiss lakeside city, and finding the best chocolate. We love Geneva for its highly cosmopolitan feel and gorgeous scenery. After Geneva, breathtaking mountains, lakes, and forests will welcome our group to the resort town of Chamonix. For 4 days, you can unwind from big city life and get the opportunity to explore the beautiful French Alps. Classes will be held during the morning in the hotel’s conference center. The afternoons are free to explore local attractions and participate in several outdoor activities, at your leisure of course. The best part of our stay? Taking in the spectacular views of the snow-covered peaks of Mont Blanc. 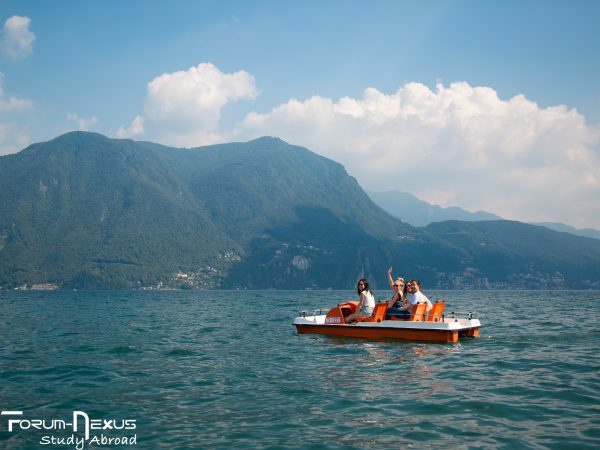 From Chamonix we depart on a day trip to the Lake District at the border of Italy and Switzerland. 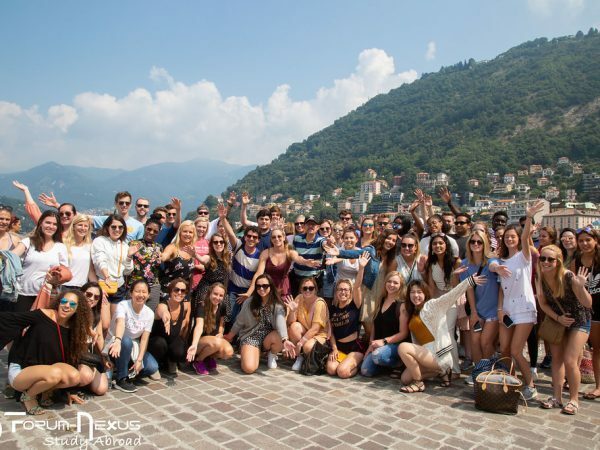 The first stop will be to the picturesque lakeside city of Lugano, an established center of business, banking, and higher education. 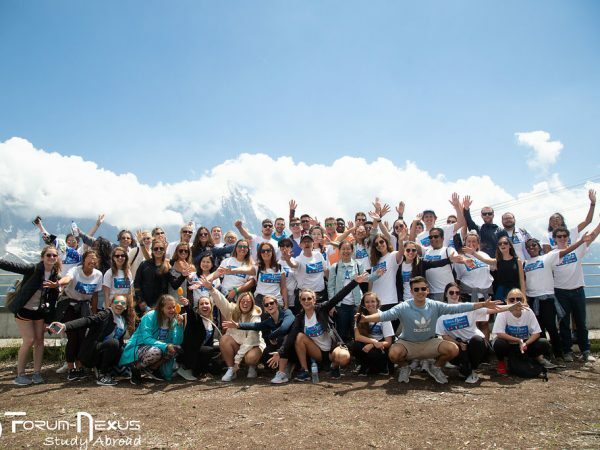 The group will visit the pristine campus of Franklin University Switzerland, a U.S.-accredited liberal arts university with a highly international student body. We continue to the Italian city of Como, known for its picturesque waterfront, bustling piazzas, and prominent silk industry. You will have time to eat, explore, and learn about Como’s unique history. 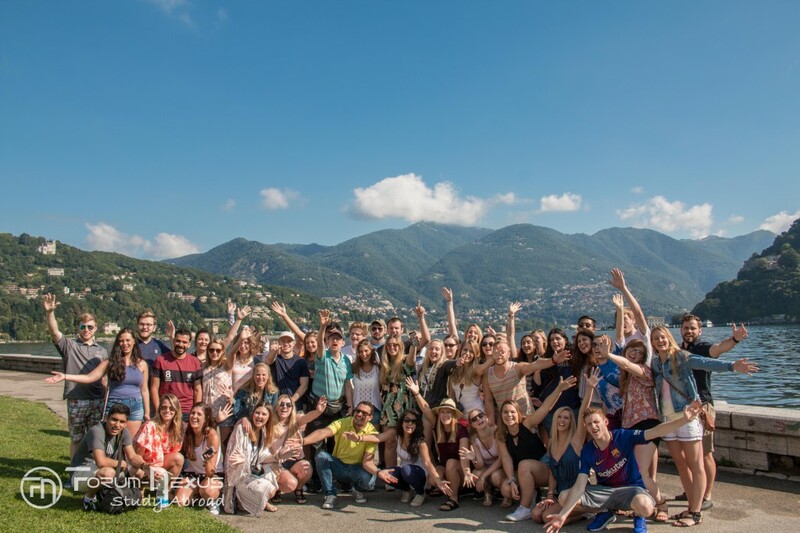 Our visit isn’t complete without gelato and a group picture by the lake! After a day spent by beautiful lakes, we will arrive in Milan, Italy’s proud capital of business, finance, and fashion. Get ready to shop and feast during our 3-day stay. 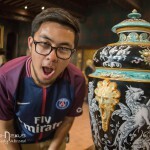 Cultural highlights include the Duomo di Milano, Leonardo da Vinci’s painting “The Last Supper” , and the designer district of Via Montenapoleone. On the weekend, you can participate in Optional FN Day Trips to Venice and/or Florence. Berlin and Prague are also easily accessible for an Independant Weekend Excursion. 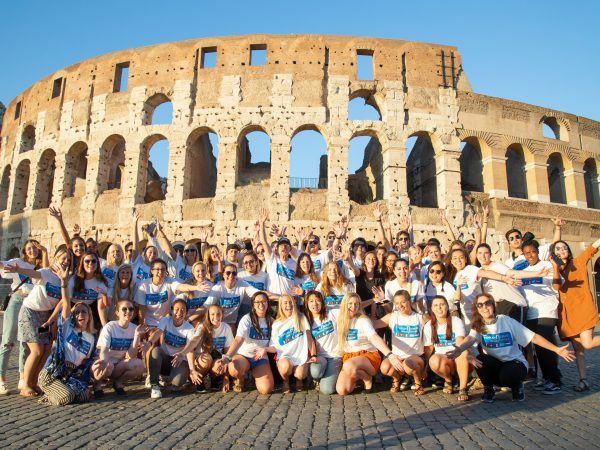 Once our time in Milan wraps up, we’ll pack our bags and board a high-speed train to the eternal city of Rome! 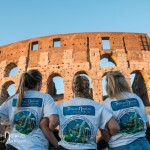 Known best for its unique culture, abundant history, and food, the following 5 days in Rome will be well spent. Get ready to check off the majestic St. Peter’s Basilica, Michelangelo’s Sistine Chapel, the Coliseum, and more off your travel list. 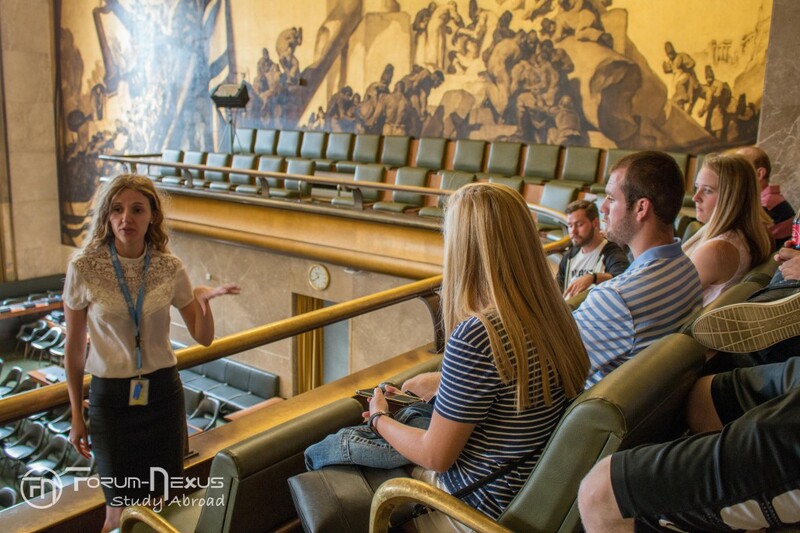 You can look forward to class sessions at the hotel and a professional visit to the headquarters of the United Nations’ Food and Agriculture Organization. During the weekend, there will be an Optional FN Day Trip to the famous Island of Capri. For Independent Weekend Excursions, we suggest Athens or Santorini. Our month of travels concludes with a 6-day long getaway to the beautiful Greecian Island of Rhodes. 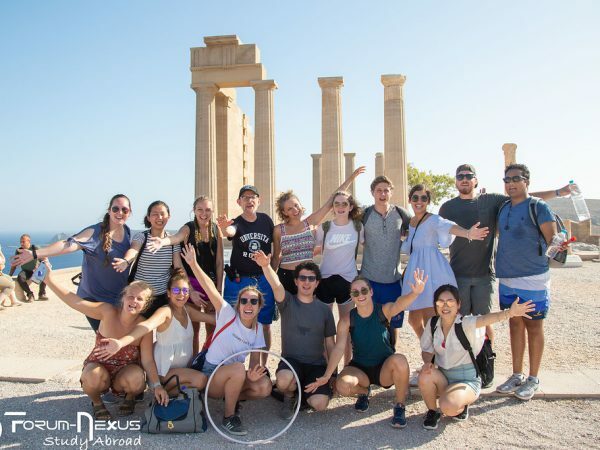 The group will stay at a 5-star beachside resort, attend classes in the resort’s conference center, and enjoy free time to explore the charming Old Town or relax at the beach. At the end of the week, you can look forward to a farewell dinner and diploma ceremony featuring traditional Greek food and music. 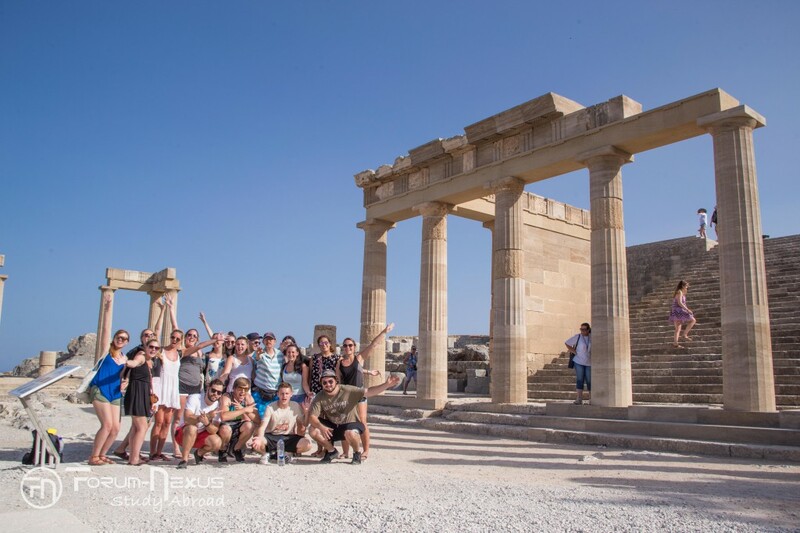 During the week, there will be an Optional FN Day Trip to Lindos, which includes a visit to the stunning Acropolis overlooking the sea. 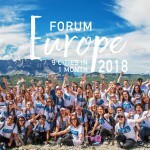 Once Forum Europe 2018 concludes, you may fly back home or to their next destination. Are you ready to book your ticket to a life-changing summer? Apply online for free at www.forum-nexus.com. Submit your application before October 31 and save $1,200 on tuition cost! 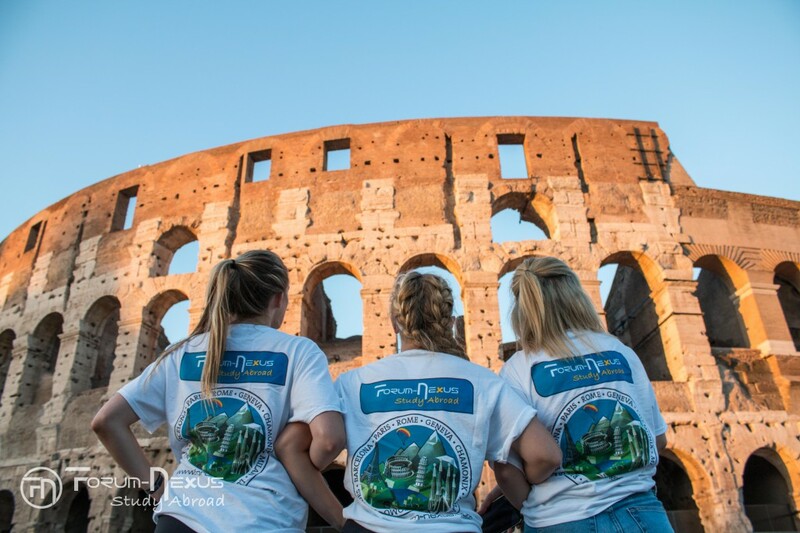 For more information on Forum Europe Summer 2018, visit www.forum-nexus.com. 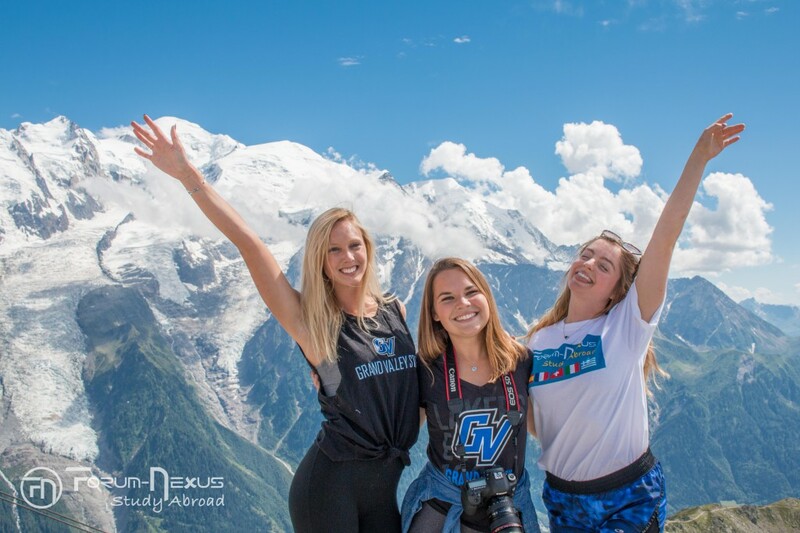 Be sure to also follow us on Facebook, Twitter, Instagram, and check out our YouTube channel for more travel inspo and study abroad news.